Mihai was the first Bucharest partner to join Crossover from Oracle, and since he joined many people (including some in his current team) have followed. Mihai says that Crossover’s initial appeal was “honestly the salary. 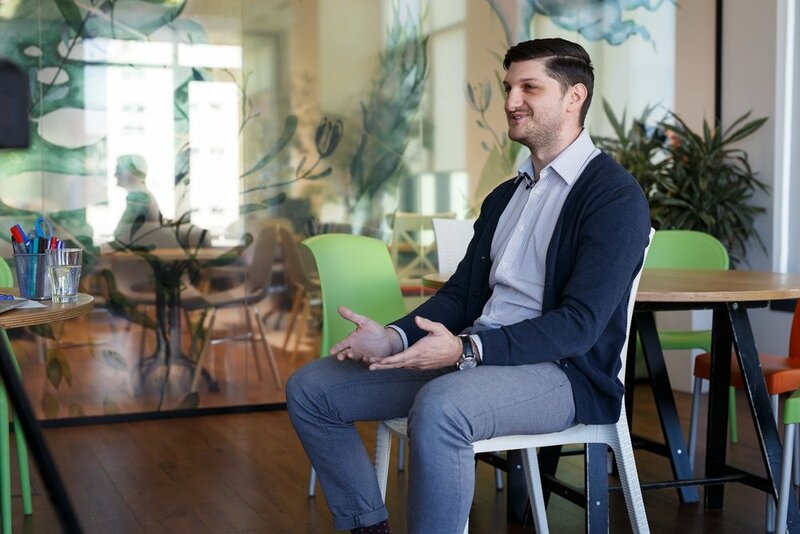 I can live like a king with this salary, and I’m not joking about that.” But on top of that, Mihai has credited our culture of continuous improvement, collaboration within the team, and friendly competition among fantastic colleagues that have enabled him to develop so much in his career. You mentioned that many of your ex-colleagues from Oracle have applied to join Crossover. What was the unique appeal of Crossover for you? My previous job was at a huge corporation, Oracle. At some point, I did some math. I realized that other people - working in the same kind of jobs as myself in this industry, but for other corporations in Bucharest or Cluj - would have to save money for about two years before they’re able to pay 5-10% of an apartment up front then live with a 30-year mortgage. In my case, in the same amount of time I’ll be able to save for a two-bedroom apartment and pay 100% of the value up front. So that’s the kind of huge difference when it comes to income from Crossover. In my case, I’m earning about four times more than I was making at Oracle, including my Oracle commission. I was the first one to leave my department at Oracle to join Crossover. Shortly after, a few other people followed me. This kind of approach - “let’s get the top 1% of people in the world and pay them what they are worth as the top 1% - is a huge disruption in the market, and the future of staffing at large. Now that you’re here, can you tell us a little more about what you like about your role? When you work at a place like Oracle with automated procedures, you always know exactly which processes to follow. At Crossover, it’s like we’re building the plane as we’re flying it. I say this because here, most of the companies that we’re working with are acquisitions. So our clients have just purchased other companies and we have the task of supporting new customers and new products. But all this adds major value to my experience, because I’ve never worked with acquisitions and that’s where you learn the most. I think the most you’re ever going to learn in your career is during hardships and challenging moments alongside a great team.